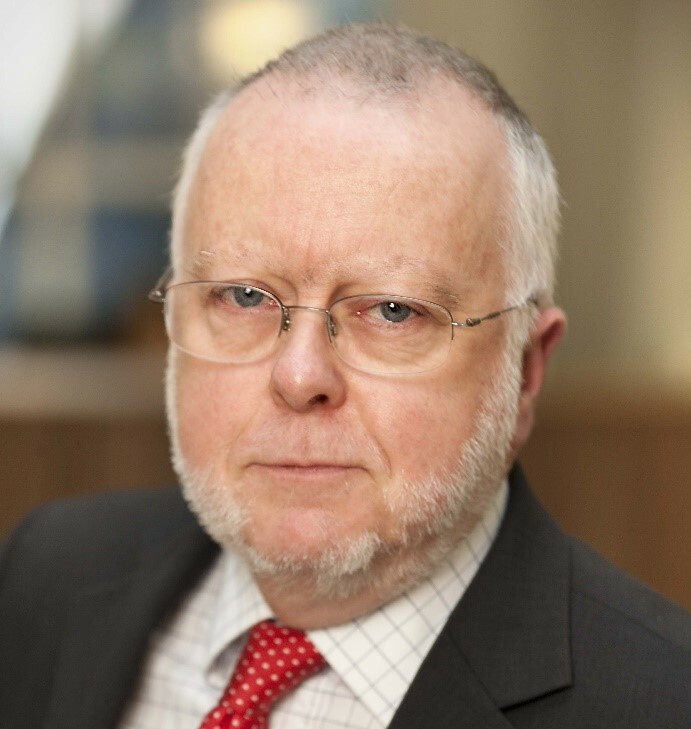 SINGAPORE, 15 January 2019 – Increased regulatory requirements. Public demand for reducing environmental impacts. Transparency provided by the internet and social networks. All these factors are contributing to the necessity of the maritime industry to re-focus its public image. But how? The Inaugural World Congress on Maritime Heritage will be held from 13 to 15 March 2019 at Resorts World Sentosa in Singapore. The Congress will address the current state of the shipping industry, examine the sector’s past influence on global trade and cultural influences as featured in the world’s maritime museums, address the oceans and sustainability, illuminate signature undersea archeological and exploration activities, and connect these communities to provide a window into the future. Importantly, participants in the Congress will include public-facing stakeholders such as maritime museums and others who will help to carry the maritime industry story. IMO Secretary-General Kitack Lim will be a keynote speaker, along with top Singapore Cabinet ministers. Former Secretary-General Koji Sekimizu will open the Congress. Other topics being covered in the conference include how the ocean is a pathway to commerce and the global economy, a sustainable future, cultural diversity, and governance. Additional features include “Why we must explore the past to navigate the future”, undersea commerce, tourism and maritime heritage in the global context, and regional breakout opportunities. The Congress is being jointly organised by the Consortium for International Maritime Heritage and Resorts World Sentosa with support from the IMO, National Oceanic and Atmospheric Administration (NOAA), International Congress of Maritime Museums (ICMM), Maritime and Port Authority of Singapore (MPA), the International Chamber of Shipping (ICS), and North American Marine Environment Protection Association (NAMEPA). Resorts World Sentosa, the official venue sponsor of the congress, is home to The Maritime Experiential Museum. The museum is the only one of its kind in Singapore dedicated to the exploration of the iconic Maritime Silk Route, and features 15 immersive galleries, including the Vessels Gallery (left). PHOTO CREDITS: RESORTS WORLD SENTOSA. 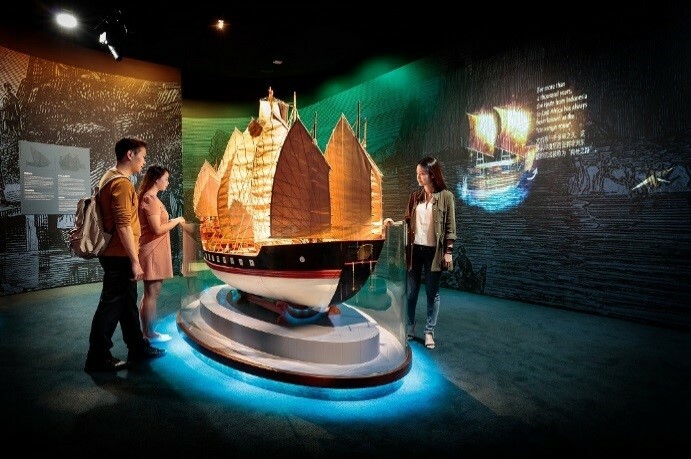 Resorts World Sentosa is also official venue host for the three-day event which will include a programme held at the revamped Maritime Experiential Museum, the only one of its kind in Singapore dedicated to the exploration of the iconic Maritime Silk Route. Housing a total of 15 immersive galleries, the attraction holds a combination of state-of-the-art visual projections and multimedia shows. Highlights include the Jewel of Muscat, an Arabian ship which made a tumultuous 138-day voyage from Oman to Singapore in 2010 using ancient navigational methods with a crew of 15. Registration for the Congress is now open. For more information on the programme and invited speakers, visit the official website of World Congress on Maritime Heritage 2019 (wcmh2019.com). The Consortium of International Maritime Heritage (CIMH) is a non-profit organisation formed with the purpose of raising public awareness of our connection to the ocean through understanding our maritime heritage. The goal is to develop new--and enhance existing-- mechanisms to connect the public with its maritime roots. The Consortium is dedicated to developing and supporting maritime heritage programming that can serve as focal points for a wide array of constituent groups to share culture values and experiences that shed light on how we are interconnected by the world’s oceans. Rediscovering the past through our shared maritime heritage allows us to collectively better navigate a sustainable future. Maritime heritage is the history of human involvement with the ocean and coastal lands and waters. It includes the history of ships, seafaring, marine transportation, navies, ports and communities, immigration, tourism, traditional maritime practices and trades, fishing, the marine environment, lighthouses, submerged cultural resources, museums and educational organizations, the arts, literature, law and history of human involvement with the sea. As a new organization the Consortium is currently focusing on it’s first effort, the inaugural World Congress on Maritime Heritage 2019. For more information, please visit www.cimheritage.org. Resorts World Sentosa (RWS), Asia’s premium lifestyle destination resort, is located on Singapore’s resort island of Sentosa. Spanning 49 hectares, RWS is home to world-class attractions including Universal Studios Singapore, S.E.A. Aquarium, the Maritime Experiential Museum, Dolphin Island and Adventure Cove Waterpark. Complementing the adventure and adrenaline of its theme parks and attractions are six unique luxury hotels, the world-class Resorts World Convention Centre, a casino and the Asian flagship of a world-renowned destination spa. RWS offers award-winning dining experiences and exciting cuisine from around the world across its many renowned celebrity chef restaurants, establishing itself as a key player in Singapore’s vibrant and diverse dining scene and a leading gourmet destination in Asia for epicureans. The integrated resort also offers world-class entertainment, from original resident productions to concerts and public shows such as Crane Dance and Lake of Dreams. RWS has been named “Best Integrated Resort” since 2011 for eight consecutive years at the TTG Travel Awards which recognises the best of Asia-Pacific’s travel industry. RWS is wholly owned by Genting Singapore, a company of the Genting Group. For more information, please visit www.rwsentosa.com. We need more countries to implement, and invest, in MARPOL in order to preserve their ecological and economic sustainability!